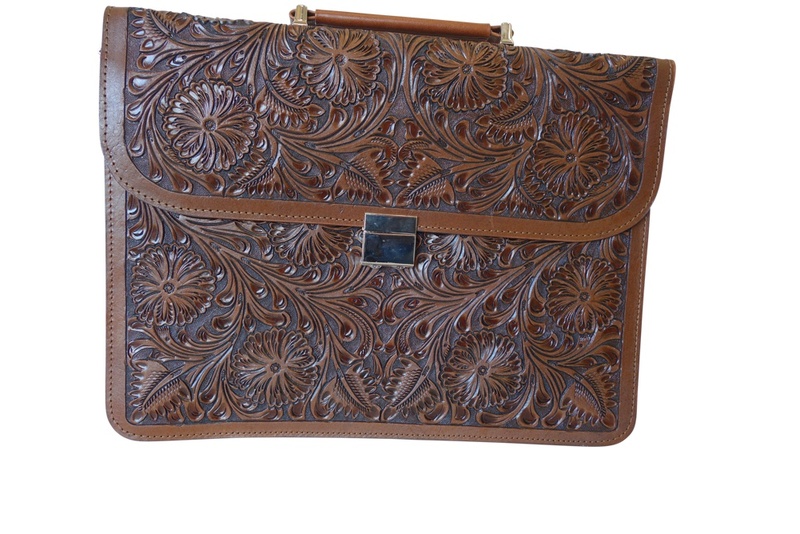 Our high-quality hand tooled leather briefcases add the perfect amount of style to any professional setting, in natural leather or vibrant colors and unique patterns. 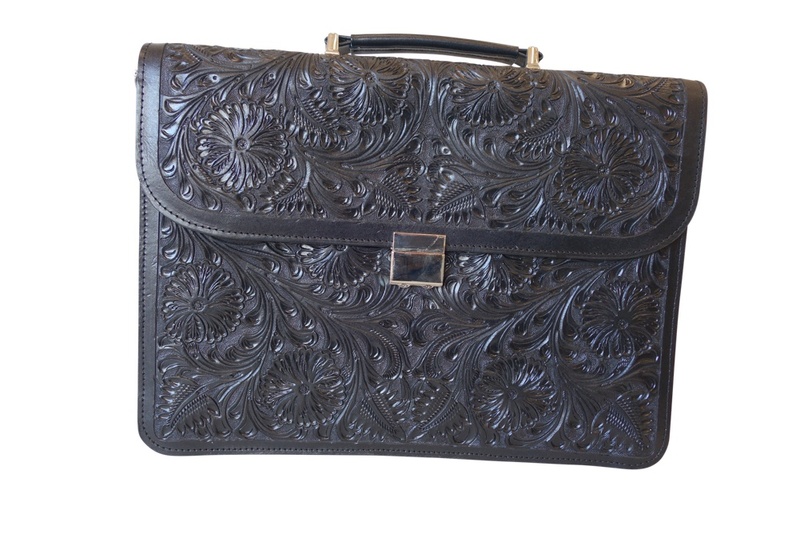 Our 16x12x3 briefcases feature 3 interior compartments and an exterior zipped pocket to carry tablets or small laptops along with important documents, pens, wallets, and your phone. 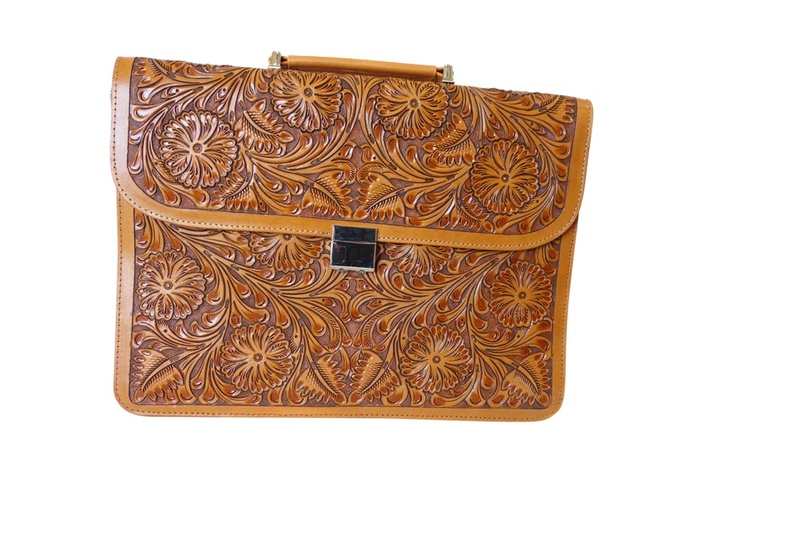 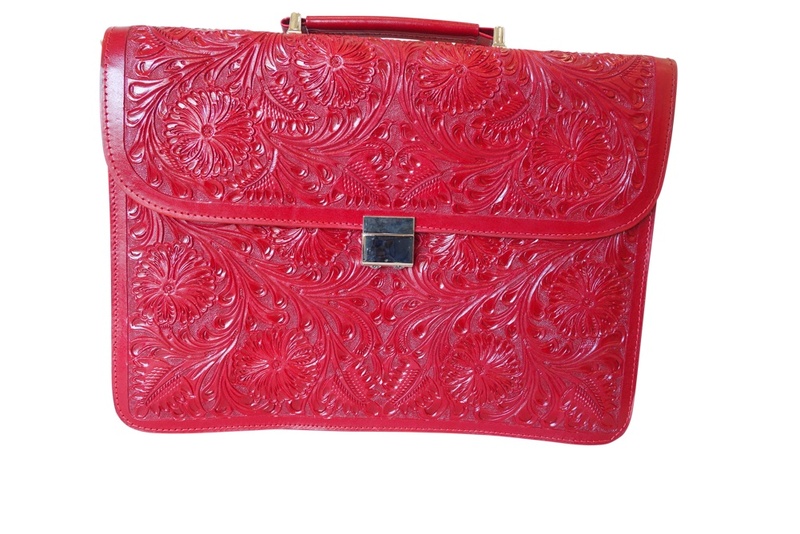 Get the best deals on handcrafted leather briefcases at Mexico at No Mas! 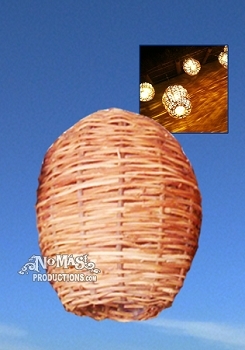 Artisan Market today!